It is not fully understood why a low carb diet is effective in managing seizures. However, some conclusions can be drawn. In your case, understanding these things may make it easier to reap the full benefits of the diet. It is not all about ketones: Measuring ketones is an effective way to monitor the level of compliance to the Ketogenic or Atkins Diets. Some dieters do best with “large” ketones, others with “moderate” or “small”. 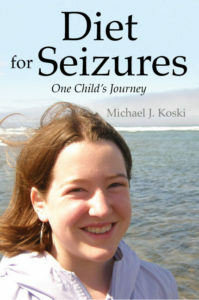 It has been theorized that ketones somehow suppress seizures – and that theory has not been disproven to my knowledge. However, if they do suppress seizures, that is not the whole story. Many who achieve seizure control through the Modified Atkins Diet (MAD) maintain control even after losing ketosis. 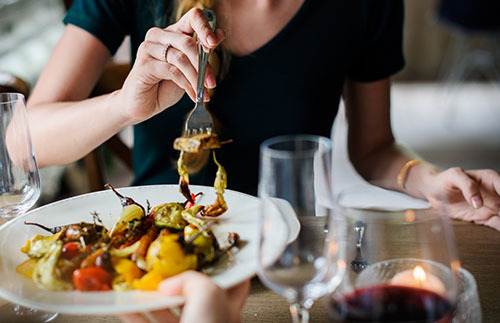 Low carb diets eliminate many seizure triggers from a person’s diet: If you take a look at the list of seizure triggers, you will note that many of the most common triggers are the foods one avoids when on the diets. For most people, the diet will help them learn what food sensitivities they have, thus allowing them greater seizure control. Is it possible this is the reason the diet works? Perhaps in some. Consider this – many who do gain seizure control through the MAD later come off the diet, (after a couple years), and retain seizure control by avoiding the foods they had identified as seizure triggers. This was the experience we had with our daughter. Low carb diets add large amounts of fats and oils: The brain uses fats and oils (fatty acids) as “reducers” to regulate the electrical activity. There are at least 330 different fatty acids utilized by the brain. 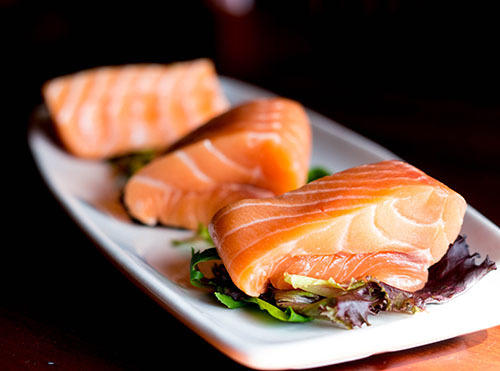 Normally, your body manufactures these fatty acids from the foods you consume. Is it possible that some epileptics do not manufacture enough fatty acids to regulate the electrical activity in the brain, and that adding more fats and oils compensates for this? Why not? Consider this – much has been published about the benefits of Omega 3 fish oils, and some have found relief by just adding this to their diet. Of course, there are many causes of epilepsy. If a person suffers an injury and then begins to have seizures, it would be hard to argue their body suddenly forgot how to make the fatty acids it needs. And yet, the diets have been successful in these situations. However, could it be argued that the injury increased the person’s susceptibility to seizures and thus, the need to avoid food irritants and increase fats to compensate? Obviously, there is much we do not yet understand. Why Do Some Seem to “Heal” On These Diets? The brain “learns” better ways of dealing with stress: While avoiding seizure triggers and supplying needed fats for a period of time, is it possible that the brain learns a healthier response to stress? Consider the analogy of learning to type without looking at the keyboard. Mix in enough serious distractions and you may never learn. However, if you eliminate the distractions for a long enough period of time, you can eventually learn, even when the distractions are reintroduced. Similarly, it’s possible the brain is able to learn an appropriate way to deal with stress, like sleep deprivation, flashing lights and blood sugar spikes, if we just remove the distractions, or seizure triggers, for a while. The body learns to recognize and manufacture needed fatty acids: I’ve borrowed this idea from homeopathy. Some forms of homeopathy work by “showing” the body what it needs. This is usually in the form of a remedy. The idea, (and it is hard to argue with some of the results), is that the body “learns”, “recognizes”, or “remembers” this missing element, and begins to manufacture or absorb it again to balance out the body. Is it possible that the body isn’t making or acquiring all the fatty acids it needs for proper brain function, and so when we supply these fatty acids in the low carb diet, it learns to recognize and utilize them? The diet in addition to the period of time seizure-free and possibly medicine-free, gives time for the body’s natural processes to continue uninterrupted: Would more people “grow out” of seizures as they go through puberty if we did not interfere with some sort of permanent treatment? Would our body heal itself if we relaxed, and helped it along for a while, by removing seizure triggers like stress and let it do its job? Possibly. In conclusion, every situation is truly different and unique. Some people have seizures due to injury, damage, disease, toxins etc. The low carb diets don’t work for everyone, and they should be followed under the supervision of your doctor. I also am NOT anti-medicine. There is no question medication saves lives and improves the quality of life for millions.